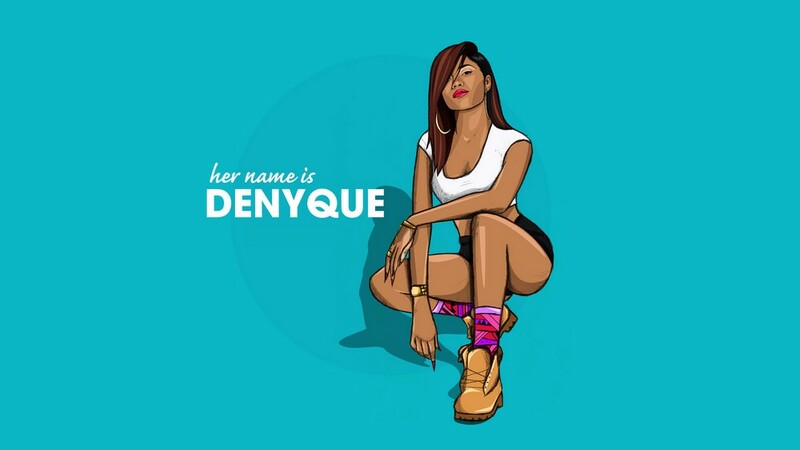 Industry experts and fans alike are describing Denyque as “hard not to love,” and the dreamy island media darling has been putting her sultry vocals and melodic flows to work with the aim of making the world fall in love with both her and her music. Though there has been a resurgence of reggae in Jamaica, Denyque’s vocal style and range goes against the grain and lends itself to pop and r&b tracks, creating a sound like none other in the home of dancehall and reggae. After releasing successful singles such as “Summer Love”, “How to Rave” and “Make Me Believe You”, all of which hit top ten charts in more than 100 countries, Denyque is now focused on putting together a compilation that will appeal to an international market. The passionate performer got her foot in the proverbial door in 2009 when she recorded her first single "Can't Breathe". Since then, Denyque has grown tremendously and has firmly stepped into the entertainment stratosphere, picking up one of Jamaica's most prestigious accolades - the Excellence in Music (EME) award for Best New Artiste 2010 and The Manchester People’s Choice Award in 2014. It doesn’t stop there, the singer has also been nominated four times in the category “Young Hot and Hype Female of the Year” for the annual Youth View Awards 2011, 2012 and 2013 (the teenage award show in Kingston, Jamaica), and in 2015 & 2016 nominated in three outstanding categories, “Young Hot and Hype Female of the Year, Female Fashion Icon of the Year and Favourite Local Female Artiste of the Year”. She has experienced grand stages such as Reggae Sumfest, where she shared the stage with Hip Hop Artist Nicki Minaj and made her debut on the African continent which saw her performing for more than 4000 fans in Kenya. Denyque is no newbie to putting on a show. In 2014 she was selected to be a guest judge on Jamaica’s TV talent show Rising Stars and also capped the job for the Jamaica’s Premier League Football (soccer) Competition as their live TV host. Already listed as one of Complex Magazine's "Top 25 Sexiest International Singers”, Denyque has not only been honing her sound, but also her image. This confident risk-taker has always taken an experimental approach to her image and is not afraid to reinvent her look to channel her current style. In September of 2015 Denyque was nabbed by ATL Automotive as the new Volkswagen ambassador. She was the perfect fit, young, beautiful, effervescent and spirited. Denyque’s most recent single “Proud Wifey” produced by Good Good Productions is promising big things for 2017 and beyond, where the official video will set the tone for an indelible future.